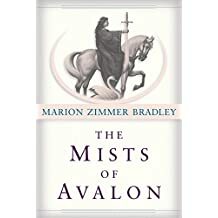 E-book bargain (The Mists of Avalon by Bradley) – Joyce's mystery and fiction book reviews with some non-fiction too! This is a wonderful (and long) re-telling of the Arthurian legend from the points of view of the women, especially Guinevere. I read it many years ago and adored it. Today this is an e-book bargain; it is worth a read!